According to the Bureau of Labor Statistics, medical assistants (MAs) and medical assisting careers are expected to increase by 29% between 2016 and 2026, growing at a much faster rate than the national average for all fields. Online medical assistant programs train MAs to perform both clinical and administrative tasks in a variety of healthcare environments. Though largely dependent upon the location and specialty of the practice, responsibilities and duties of medical assistants may include measuring vital signs, assisting with examinations, giving injections, and overseeing administrative tasks. Employment in this field typically requires either a certificate or associate degree in medical assisting from an accredited institution. Today, a variety of online medical assistant programs are available, meeting the needs of many adults across the U.S. MAs are not required to be certified in most states, but optional certification can improve marketability across the board. The American Association of Medical Assistants (AAMA) offers a certified MA credential, and the American Medical Technologists offers a registered medical assistant credential for those who pass the required examination. Median annual pay for this profession is $32,480 for full-time employees. The top 10% of MAs earned $45,900 per year, and the lowest 10% earned $23,830. Purdue Global University offers a world-class education tailored to meet the unique needs of nontraditional learners. Students choose from 180 fully online and hybrid degrees at the undergraduate and graduate levels. Purdue Global also offers a catalog of certificates in fields such as healthcare. The medical assistant certificate incorporates a comprehensive curriculum that includes hands-on training on medical equipment. The 57-credit curriculum, accredited by the Commission on Accreditation of Allied Health Education Programs, teaches students clinical, lab, and medical office procedures. Students become knowledgeable in a variety of topics, including medical terminology, medical office management, medical coding and insurance, and medical law and bioethics. Faculty require that all students complete a 160-hour externship in a clinic or physician's office; online learners complete their required clinical experiences at an approved site in their communities. Graduates are eligible to sit for the Registered Medical Assistant exam, National Certified Medical Assistant exam, and other exams. Liberty University’s associate of applied science in medical office assisting prepares students for a career as a medical office assistant in various healthcare environments such as physician’s offices, hospitals, and clinics. Program courses include medical terminology, introduction to health professions, medical office systems and procedures, medical office billing and bookkeeping, and more. Keiser’s 20 Florida campuses, as well as the school’s online presence, are all accredited by the Southern Association of Colleges and Schools Commission on College and grant certificates, associate’s, bachelor’s, and graduate degrees. The online medical assistant program requires students to attend classes at one of 14 Florida Campuses. Graduates are qualified to perform various medical assisting duties under the supervision of a doctor or practitioner. Students receive training in taking vital signs, injections, venipuncture, laboratory assistance, x-rays, and more. Administrative training enables graduates to maintain patient records and process billing and insurance claims, among other tasks. Financial aid is granted individually according to the FAFSA application. Healthcare is one of today’s fastest growing industries. Herzing Online's healthcare programs are designed to meet the expanding needs of employers, with a focus on direct patient care and healthcare administration. Healthcare professionals at every level are in demand. Whether you are intersted in direct patient care or behind the scenes healthcare administration, you will graduate with the right skills and credentials for lifelong career opportunities with a healthcare degree from Herzing University. Discover why Herzing's student-first approach, individual attention, and caring community set us apart from other colleges and universities. From their home campuses in Clearwater and Tampa, FL, UMA offers MA diplomas and associate degrees. Accredited by the Accrediting Bureau of Health Education Schools, students participate in a rigorous program that prepares them for careers across the healthcare field. Graduates of UMA’s diploma and online medical assistant programs are able to work in both administrative and clinical environments. Students learn to take vital signs, gather patients’ medical histories and assist physicians and other professionals. While completion of coursework prepares graduates for entry level employment, they are further encouraged to sit for the registered MA and certified MA exams. UMA uses FAFSA to determine financial aid awards. How to Become a Certified Medical Assistant Online? Medical assistants are vital and versatile members of healthcare teams. Trained to perform both administrative and clinical duties, they serve in paraprofessional support roles in clinics, hospitals, and assisted living facilities. Although it's possible to enter the field with a high school diploma and acquire skills on the job, most medical assistants earn a one-year certificate or diploma. Employers often prefer to hire medical assistants with some postsecondary education. Earning an associate degree through an online medical assistant program distinguishes graduates from other candidates, positions them to compete for top positions, and provides experience that prepares them to pursue nursing careers. The best online medical assistant programs offer externships and provide support and preparation for voluntary certification exams. Some programs even offer specializations in administrative or clinical work. Certifications are not legally required, but employers favor candidates with extra credentials. Most medical assistant certifications are interchangeable and designate the holder’s qualifications to perform entry-level work as a medical assistant. Externship providers maintain close relationships with educational institutions, and many offer jobs to graduates. What Degree Do I Need to Become a Medical Assistant? One educational option for those wishing to start a career as a medical assistant is to obtain a diploma in the field. Medical assistant diploma programs prepare students for an entry-level medical assistant position by providing training on the foundational skills described above, which usually takes eight months to a year, and includes hands-on training. These programs are ideal for students wishing to get started on their medical assisting career as quickly as possible, or those who may be financially constrained. Graduates are prepared for positions as administrative or clinical medical assistants, but may not be qualified for specialist positions. Students who are interested in a medical assistant diploma but wish to obtain other credentials might want to consider a medical assistant certificate. The certificate can be obtained by completing a medical assistant diploma program that is accredited by the Commission on Accreditation of Allied Health Education Programs or the Accrediting Bureau of Health Education Schools, and then by completing the certified medical assistant (CMA) certification examination. The exam is comprised of 200 multiple-choice questions that are given in four 40-minute sections. A medical assistant certificate is ideal for those who wish to start their career quickly and also obtain official credentials to be more competitive in the eyes of potential employers. An associate degree in medical assisting provides similar fundamentals as a diploma or certificate program, but builds upon them with an additional year of course work and training. The extra year can include more in-depth training and courses in general education. An associate program allows students the ability to start focusing on a specialty within the medical assistant field, opening up the opportunity to work in a specialist office. This, along with entering the workforce with more expertise, often allows graduates to start at a higher salary than those with a diploma or certificate. Students who can spend the extra time and money on their education may prefer this option to get a leg-up on the competition. For graduates of an online medical assistant program, earning professional certification in combination with a diploma, certificate, or undergraduate degree may be all that is required to begin a career in medical assisting. While most jobs do not require an advanced degree in the field, the majority of employers prefer, and may even insist, that candidates are certified in a specialization of their choice. The National Commission for Certifying Agencies, which is part of the Institute for Credentialing Excellence, accredits five professional certifications for medical assistants. A certified medical assistant has gone through an accredited medical assistant program and passed the CMA certification examination. The exam costs $125-$250, depending on AAMA membership and student status. A registered medical assistant has passed the American Medical Technologists’ certification exam. Applicants are eligible to take the exam through four routes that all require five years of experience or recent graduation from an accredited medical assistant program. A national certified medical assistant is a medical assistant who is certified by the National Center for Competency Testing, which is an independent credentialing agency in the U.S. healthcare industry. Applicants can achieve eligibility for the certification exam through three routes current student or recent graduate, experience, or military. The exam costs $90-$135 and consists of 165 items over three hours. A certified clinical medical assistant (CCMA) is a medical assistant certification offered by the National Healthcareer Association. The requirements for the CCMA examination are either completion of a medical assistant program or one year of supervised work experience (military equivalents are accepted for both). The exam costs $155, takes three hours, and consists of 180 questions. A certified medical administrative assistant (CMAA) is another certification offered by the National Healthcareer Association. The requirements for this certification are the same as those for the CCMA, but the CMAA focuses exclusively on the administrative side of medical assisting. The exam costs $117 and consists of 130 questions over two hours and ten minutes. All medical assistant programs have laboratory and classroom components that provide a foundation in medical terminology and human anatomy. A typical online medical assistant program also includes coursework in administrative procedures, clinical processes, medical ethics and law, pharmacology, and medical communications. Most online medical assistant programs require a supervised externship, which typically involves 160-200 hours of training at a clinic or a physician's office. Students completing medical assistant programs online learn administrative skills including appointment scheduling, records management, and basic computer skills, such as word processing, database management, and insurance coding. Clinical skills training varies by state, but most programs teach students to take patient histories and vital signs, collect laboratory specimens, and explain treatment procedures. Graduates of medical assistant online programs work in physicians' offices, insurance companies, and hospitals. This course introduces students to the legal relationships between patients and physicians, and the impact of law on paraprofessional practice. Topics include legal terminology, death, malpractice, informed consent, bioethical issues, and professionalism. This course covers practical topics relevant to performing clinical exam room procedures, such as taking vital signs, EKGs, patient education, infection control, asepsis, preparation and administration of medications, treatment assisting, and medical emergencies. Students learn basic lab techniques. Topics include infection control, blood collection, quality control, collecting and preparing specimens for analysis, screening tests, phlebotomy, selective testing, and lab safety and regulations. This course provides an introduction to cells, tissues, and organs. Students study fundamental bodily functions, structures, and systems. Students learn to apply insurance billing procedures, including claim form completion and tracking of information. The course covers basic insurance terminology and surveys plans including Blue Cross, Medicare, Medicaid, and HMOs. Graduates of online medical assisting programs can pursue careers focusing on the administrative, clerical, and clinical aspects of their field. Positions that focus more on administrative responsibilities are ideal for graduates with attention to detail and knowledge of insurance systems. Graduates who prefer more customer service-oriented responsibilities would be well suited for clerical positions, and those who enjoy both would do well in clinical positions. If graduates complete specialized training, they can also seek medical assistant positions within that specialty. For example, graduates who prefer not to work directly with patients could work as laboratory medical assistants. Below, are some examples of careers and specialities in the medical assisting field. An administrative coordinator has many of the same responsibilities as an administrative medical assistant, but has a higher level of responsibility. For example, where an administrative medical assistant may perform various tasks to help an office run smoothly, an administrative coordinator manage a large number of tasks and the employees involved to ensure the entire office runs smoothly. They may also supervise other employees and oversee budgets. An ophthalmic assistant carries out the administrative tasks of a medical assistant in an ophthalmology office, including scheduling appointments and assisting with patient records. Specialized tasks include asking a patient about their eye health and history, what their specific concerns are for the doctor, and completing the initial examination in preparation for the doctor's full examination. A medical office manager oversees the day-to-day operations of a medical office. This includes coordinating the responsibilities and schedules of multiple employees to ensure they are all working efficiently and in harmony. Medical office managers also take responsibility for the office’s operations, paperwork, and budget. Certified medical assistants help with the administrative and clerical duties of a physician or office. They schedule patients, prepare them for the doctor, explain how to use medications, and keep records of all patient information. What's the Difference Between a Medical Assistant and a Physician's Assistant? Medical assistants are responsible for performing administrative duties and preparing patients for doctor appointments, though they themselves are not authorized to provide direct medical care to patients. Medical assistants are typically more involved than physician’s assistants in patient scheduling, patient records, appointment setting, taking vital signs, and collecting blood work, among other administrative tasks. By contrast, physician’s assistants are more involved in collaborating with physicians about clinical patient care. A physician’s assistant may support their supervising practitioner in surgery, during therapeutic procedures, in the x-ray room, and during primary care visits. Physician’s assistants may also collaborate with the physician to provide patient direction and patient/family education, as well as develop treatment plans and set courses of treatment. After completing an online medical assistant program and certification, many graduates want to become more involved in patient care. Pursuing education beyond an accredited medical assistant program can open paths to higher paying jobs. The table below features median salaries for four nursing careers. There are no formal accelerated medical assistant online programs that shorten completion time of the registered nurse credential. However, the patient care experience and knowledge of medical terminology gained through a medical assistant program provides an advantage in nursing programs. Licensure from a state board of nursing requires a nursing degree and the national council licensure examination for registered nurses. Aspiring nurses can earn a diploma in nursing, an associate degree in nursing, or a bachelor’s of science in nursing, which leads to advanced careers in nursing management. Postgraduate work can open nurse practitioner career opportunities. 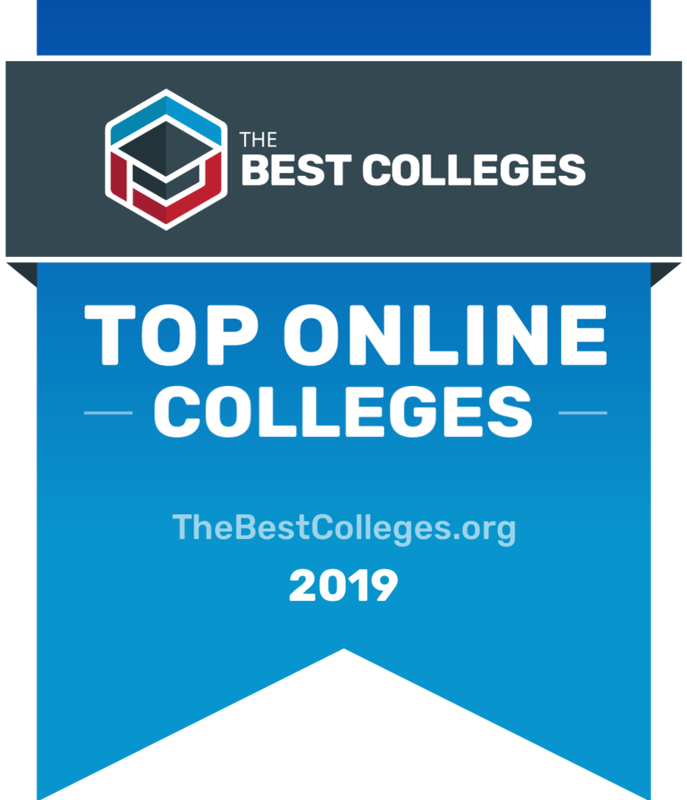 To determine the best online Medical Assistant programs, we looked at the most important factors prospective students, mainly common predictors of future success and a school's commitment to online programs. This boils down to admissions rate, student loan default rate, retention rate, graduation rate, and the percent of students enrolled in online classes. All data points are taken from information provided by colleges and universities to the National Center for Education Statistics. Each factor is weighted evenly in order to give an objective view and determine the 5 best online Medical Assistant programs. To calculate our rankings, we looked at a school's ranking when organized by a single factor, and then averaged each category's ranking to find an overall score: Admissions Rate (20%) + Default Rate (20%) + Retention Rate (20%) + Graduation Rate (20%) + Percent of Students Enrolled in Online Classes (20%) = Final score.